American singer, songwriter, musician, record producer, voice actor and model Mariah Angela Carey, was born on 27 March 1970, in Huntington, New York State, of part-Irish descent through her mother, and part Afro-Venezuelan through her father. Her multi-faceted successful career in show business means that almost everyone interested in pop music around the world today knows of ‘the Songbird’. Mariah’s musical talent apparently started to show when she was just two years old, amazing her mother by imitating her opera voice. At four years, Carey was already taking musical lessons with a private teacher, but she didn’t associate her future with music until after school, meantime taking many types of part-time jobs just to earn some money. For example, she was working as a waitress until she signed a contract with Columbia records, which led her to fame. Mariah released her first, self-titled album in 1988, which stayed atop the Billboard chart for 13 weeks, earning her 15 million dollars world-wide, then in 1991, Mariah’s net worth rose again thanks to the second album she released – “Emotions”. However, her biggest success was after the “Music Box” album appeared in stores in 1993, outstripping all with sales of $32 million. Her later releases saw a decrease in earnings, for example in 2008 her album “E=MC2” added ‘only’ $2,500,000 to her net worth! Regardless, Mariah has now released 14 studio albums, with success being relative – her latest is “Me. I Am Mariah… The Elusive Chanteuse”, but other sales including videos have maintained an impressive net worth for the singer. 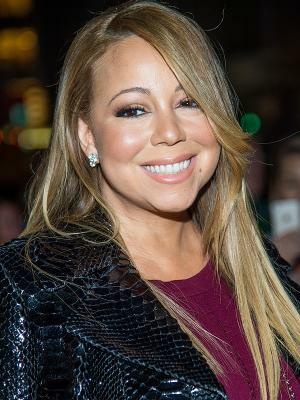 Additionally, Mariah Carey has shown her talent as an actress; she played Bilie Frank in “Glitter” directed by Vondie Curtis-Hall, Ilana from “The Bachelor”, Raychel from “WiseGirls”, and Krystal from “Tennessee”. She is also a frequent guest on many TV shows, such as “All Access Pass with LL Cool J”, “The 71st Annual Academy Awards”, “Super Bowl XXXVI” and “Idol Gives Back”, indicating her enduring popularity. In her personal life, Mariah Carey was married to Tommy Mottola from 1993 to 1998, then in a relationship with Luis Miguel until 2001. She met and eventually married Nick Cannon, in 2008, and they had twins, but finally divorced in 2016. She divides her time between her New York apartment, a Bahamas mansion on Windermere Island, a Hamptons home, and another in Beverly Hills, California.